Think an air traffic controller is the person waving batons at planes? Think again. Most people have very little idea of what’s involved in air traffic controller jobs, not to mention how to get a job in air traffic control. For example, did you know that you don’t need A-levels to pursue this career? In this guide we’ll look at how to become an air traffic controller, including the skills and traits you need. in approach control facilities, control towers or en-route centres. Air traffic controllers provide information and advice to airline pilots, so that they can take off and land their planes in a safe and time-efficient way. These highly trained professionals play a key role in how airports are run, as well as the airline industry. As you can imagine, overseeing flights is a very complex and high-pressure role, particularly with the volume of air traffic increasing. 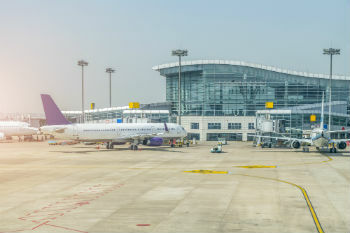 Air traffic controllers use radar systems and other advanced technology to keep track of planes when they’re between airports (known as area or terminal controllers) or when they’re approaching the runway (approach controllers and aerodrome controllers). Air traffic controllers also stay in close, regular contact with pilots, making sure that aircraft are a safe distance apart. They help ensure all arrivals and departures are on schedule. Helping planes to take-off and land, by giving pilots specific instructions and guidance. Staying in contact with pilots and giving them information or updates about things like runway closures or weather. Making decisions about which planes should land first. Keeping track of where aircrafts are and their movements. Responding to any emergency calls and helping pilots land safely in those circumstances. More specific tasks and responsibilities involved in the job depend on the kind of controller you are. As we mentioned above, there are three different kinds. Area controller: monitors and guides planes through a specific area. Based in a regional control centre. Approach controller: guiding planes as they approach the runway. Aerodrome controller: guiding plans to land and park, as well as line up for taking off. Based in a control tower. 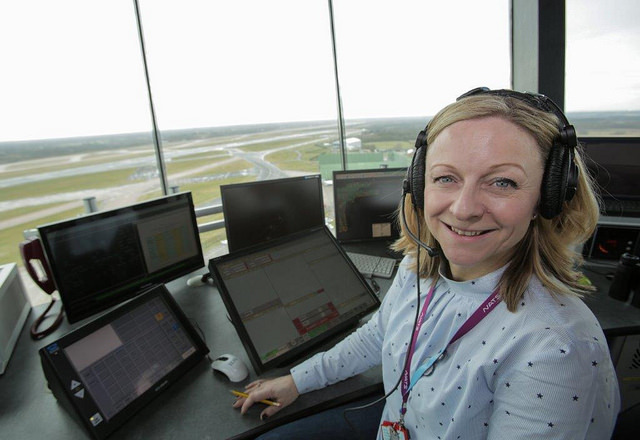 An air traffic controller starting out earns between £17,000 and £21,000. This rises to between £32,500 and £36,000 with experience. Highly experienced air traffic controller jobs come with salaries of up to £50,000. How hard is it to become an air traffic controller? What skills do I need? Air traffic controllers come from all sorts of backgrounds. Many don’t have experience in aviation. What employers are looking for are your attitude and aptitudes: that’s your approach and your potential to learn and take on new skills. Communication: able to get your message across quickly, calmly and clearly. Teamwork: good at working alongside others. Excellent levels of concentration and focus (it's not a job for people who are easily distracted). Decision-making: you have to make quick, sound judgements. The ability to think fast on your feet and under pressure, while staying calm. Numeracy: you have to calculate speed, time and distance. Analytical thinking and processing skills: you’ll have to interpret and understand information from different sources in order to make an assessment of various situations. To become an air traffic controller, you have to get an air traffic control license from the National Air Traffic Services (NATS). It’s not easy: there’s a very rigorous selection, recruitment, assessment and training process. It’s also very competitive – NATS says around 3,000 people usually apply for a course of 20 trainees. The training takes around three or four years, and you work at the same time. Five GCSEs at grades 4 or above, including maths and English. Stage 1: you take online tests to see if you have the basic skills and knowledge (try these games to see if you have what it takes). Stage 2: you’ll complete a series of computer tests to look at your cognitive skills. They’re looking at things like reaction time, multi-tasking, alertness and visualisation. Stage 3: You’ll attend a series of competency interviews and scenarios. Stage 4: The 20 successful candidates take their training course, which takes place at college as well as on the job. Stage 5: Around 15 trainees go on to “validate”, meaning their get their air traffic controller license. Main image and airport via Freepik; air traffic controller via Flickr.